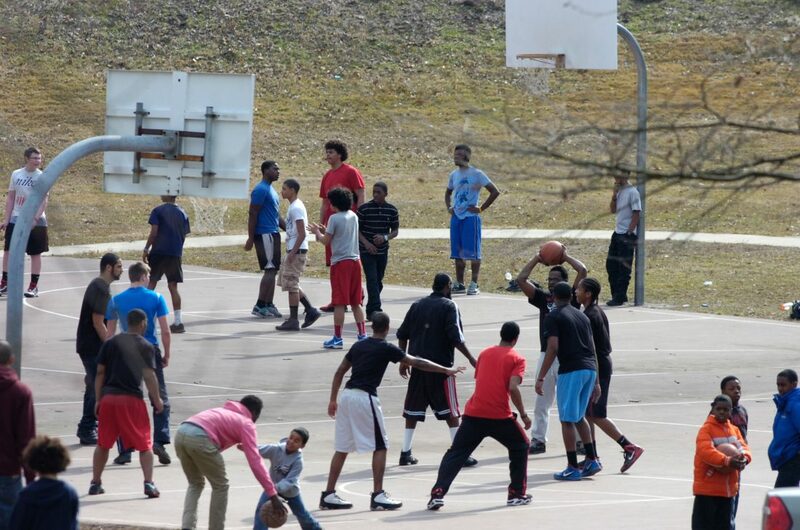 MARK NANCE/Sun-Gazette The basketball courts at Memorial Park was the place to be as temperatures soared into the 50's Sunday afternoon. Score another assist for Alize Johnson. 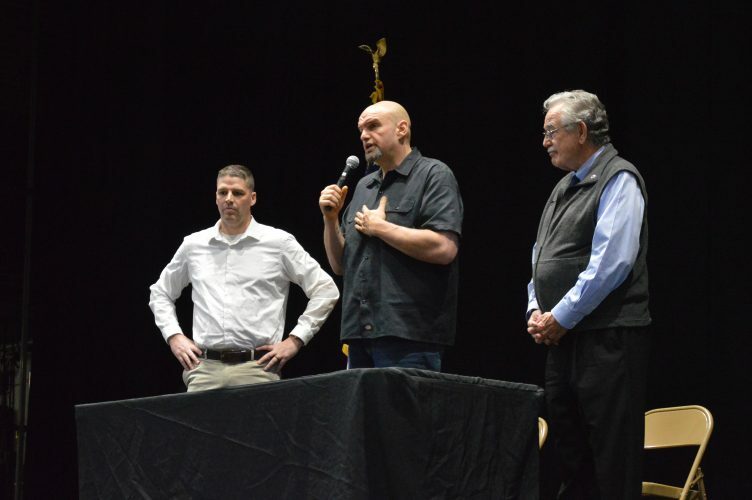 The city native and rookie on the Indiana Pacers promised Monday to give up to $150,000 to construct two National Basketball Association quality courts, ideally at Memorial Park, where Johnson learned to perform. Fresh off his gift of buying sneakers for players at his alma mater at St. John Neumann Regional Academy, Johnson, through a spokesman, said that he wants to seal a memorandum of understanding with the city. The complex would help other young ball players gain skills and perhaps get to the elite levels in college or the professional leagues. “Alize wanted to give other kids in the city and region a better park to play at so that they too can have a chance at making it to the NBA,” Mayor Gabriel J. Campana said. “This is the park where Alize grew up playing basketball,” said Campana, who taught Johnson earlier in life when the mayor was a school teacher. Johnson, who remains a rookie on the Indiana Pacers, which is in playoff contention in the Eastern Conference, said he wanted to see the courts built. “The project would cost no taxpayer dollars,” Campana said. Today, the “Alize Johnson Foundation” has begun to take strides to help the community that supported him along the way, Jaron Bartholomew, Johnson’s spokesperson said. While funding is coming from Johnson, it is hoped that individuals, businesses and organizations can come together and pitch in to the foundation, specifically for the court, Bartholomew said. The pickleball courts must be relocated to Shaw Place Park in the city’s East End, which has comfort and restroom facilities, Campana said. Those courts are showing their age and have cracks and puddles on them during rain. Pickleball is picking up steam, and players wanted to have a restroom, which Memorial Park does not have. A lot of repair work must be done to make Shaw Place Park the pickleball courts desired by the players, said Ken Huling, a pickleball player and advocate for the group in the region. It is possible for the players to use the tennis courts at Elm Park temporarily, he said. “I think this is a wonderful donation that will add plenty of excitement to the park,” said William E. Nichols Jr., city finance director. Councilman Randall J. Allison said the gift was wonderful. He also noted that council would need to go over the details, legal and schematics, and the plan.